A poet and writer whose works might be described as playful literary fantasies filled with symbolism. His first book came out when he was in his forties, although he has been writing with various intervals since he was fifteen. 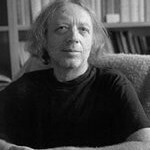 He has won the Magnesia Litera and the French Utopiales prize for science fiction. His books have been translated into English, French, Japanese, Italian, Croatian, Macedonian, Norwegian and Russian. He was born in Prague on 30 October 1949. A lovely catalog of – and meditation on – other-worldly ideas and notions as well as a multi-layered work of fiction(s), The Golden Age is a wonderfully entertaining novel, with the sparkle of its bits coalescing surprisingly into an intriguing conceptual work. Ajvaz studied Czech and aesthetics at Charles University’s Faculty of Arts, and had various menial jobs including work as a night-watchman. 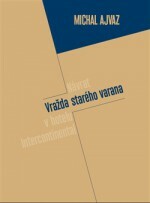 His first novel, Vražda v hotelu Intercontinental (Murder in the Hotel Intercontinental), came out in 1989. 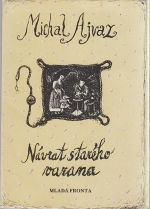 Návrat starého varana (Return of the Old Komodo Dragon), a collection of short stories, was published two years later. 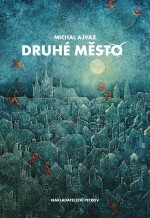 His novel Druhé město (The Other City) started a debate on the place and meaning of magical realism within Czech literature, due to the fact that Ajvaz’s stories are full of landscapes behind mirrors, plays on words, parallel worlds and people escaping into them. In places Ajvaz is reminiscent of Borges and Neil Gaiman. The entrance to these fantastic realms is often through a text, book or bookshop. 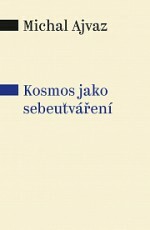 1997 saw the publication of Ajvaz’s Tyrkysový orel (Turquoise Eagle) containing the novels Bílí mravenci and Zenónovy paradoxy (White Ants and Zeno’s Paradoxes) – both conceived as (summer and winter) magical stories within stories. 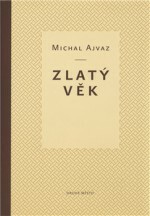 In 2001 Ajvaz wrote the three-hundred page novel Zlatý věk (The Golden Age), the story of a modern-day Gulliver. Just as fantastical is the semi-detective novel Prázdné ulice (Empty Streets), which was published in 2004 and which was awarded the Jaroslav Seifert Award a year later. 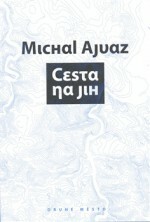 Readers had to wait until 2008 for the intoxicating novel Cesta na jih (Journey to the South), which critics compared to the writings of Umberto Ecco and the construction of Mitchell’s Cloud Atlas. 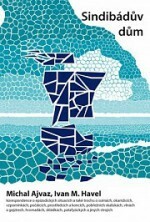 The novel’s composition is based on two stories which are told in a Cretan tavern by two men, and as is Ajvaz’s wont, this is a narration within a narration and the gradual merging of fictional worlds, and about language and writing. Despite the fact that it appears to be the result of a game of chance, it has been thoughtfully created by the author: “There are no simple meanings in literature. The message that a book carries is also in its style, in the rhythm of the language. This reveals the forces which create the world that the author wants to create, or through which the author wants to communicate. This world may be purely imaginary, but at the same time it is always some kind of metaphor for our world, showing us some of its characteristics. Language can express reality, because it is not only a pale reflection of reality, it is reality in itself, it is the action, the inhalation and exhalation, the ebb and flow of forces,” he explains. 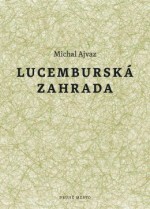 In 2011 Ajvaz’s Lucemburská zahrada (Luxembourg Gardens) was published, which won the Magnesia Litera a year later for best book of the year. It consists of a newly invented language and a key to go with it. It is the story of a teacher called Paul who accidentally types in a wrong word into an internet search engine, which becomes the gateway to an unknown world. On the one hand, Lucemburská zahrada is a tribute to the kitschy genres which the author is so fond of (a love affair between a teacher and a student), on the other, it is a sophisticated philosophical work that is fascinated by urban areas – which is one of Ajvaz’s eternal themes. As the author says, the novel was conceived during a walk along the Left Bank of the Seine. However, the story is not only set in Paris, but also in Nice, Nantes, in the state of New York, in Moscow, on the Caribbean island of Santa Lucia, in Sicilian Taormina and in the invented city of Lara. 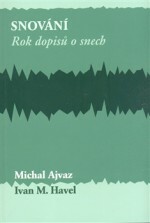 And Ajvaz’s third eternal theme – his love of linguistics – becomes even more of an obsession here: “In Luxembourg Gardens I invented a language because I wanted to write a text where the meaning would only be stated through a game between the phonetic and rhythmical side of language on the one hand, and with the context on the other – which in the case of this part of The Luxembourg Gardens is quite dramatic (the discussions evidently concern a situation where war is brewing between two empires). I hesitated over whether to include a key to this language, and I also considered inserting such an explanation into another book in the future, which might be published in ten years… In the end, I added the key to the appendix as a sort of bonus for those who like deciphering riddles – the bonus is that they can create another version of the book, while the rest don’t need to take notice of the appendix,” explained the author. 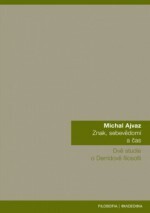 Ajvaz is also an essayist and in 2011 his publishers Druhé město brought out an essay entitled Příběh znaků a prázdna (The Story of Signs and Emptiness), and two years later Filosofii vhled do Husserlovy fenomenologie (Journey to the Sources of Meaning, an examination of Husserl’s phenomenology).